IndiEarth launches Season 2 of IndiEarth Out There | WhatsTheScene? 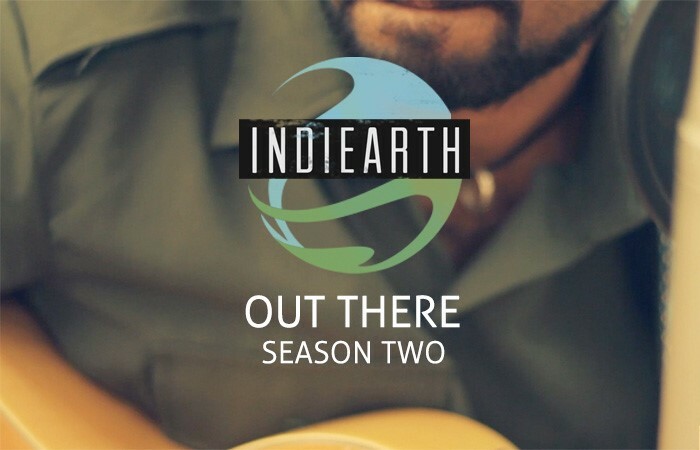 IndiEarth has released Season 2 of IndiEarth Out There – IndiEarth’s travelling gig property featuring a blend of the country’s most exciting independent artists shot outdoors in an acoustic atmosphere. Filmed in Bangalore and featuring a colourful array of the city’s artists, Season 2 debuted recently with folk/rock act Swarathma. Following the success of IndiEarth Out There Season 1: The Chennai Edition, Season 2 continues on its mission to provide a platform for the diverse soundscapes of the country’s rising independent music movement. Featuring a blend of artists from both ends of the spectrum – from new talent to established pioneers of the independent music scene – the series intends to nurturing and support the rise of the independent in India. Season 2 was shot at Yogisthaan (previously associated with The Yoga House), over a year ago. Set entirely in natural surroundings and out in the elements, the videos features music and conversations with Bangalore-based artistes, showcasing their music in a stripped down and acoustic atmosphere. A few of the other artists being featured in Season 2 include psychedelic/blues act Parvaaz, alt rock band Live Banned and world music collective Mystic Vibes. In upcoming seasons, this series plans to continue travelling the length and breadth of the country on its quest to discover the myriad sounds Indian independents are producing at the moment, providing a platform that brings these isolated movements together under one umbrella.